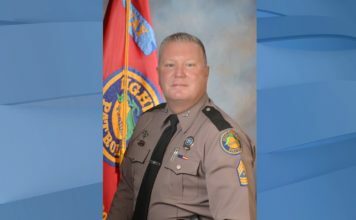 The Florida Highway Patrol we will be focusing on the Florida Move Over Act. Florida State Statute 316.126 covers operation of vehicles on approach of an emergency, sanitation, or utility service vehicle. Vacate the lane closest to the emergency vehicle, sanitation vehicle, utility service vehicle, or wrecker when driving on a road with two or more lanes except when otherwise directed by a law enforcement officer. If such movement cannot be safely accomplished, the driver shall reduce speed. Shall slow to a speed that is 20 miles per hour less than the posted speed limit when the posted speed limit is 25 miles per hour or greater; or travel at 5 miles per hour when the posted speed limit is 20 miles per hour or less. 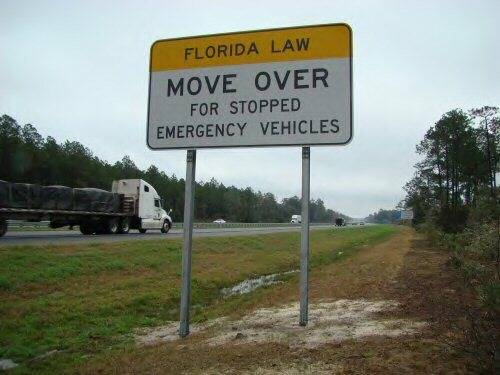 A violation of the Move Over Act is a noncriminal traffic infraction, punishable as a moving violation.